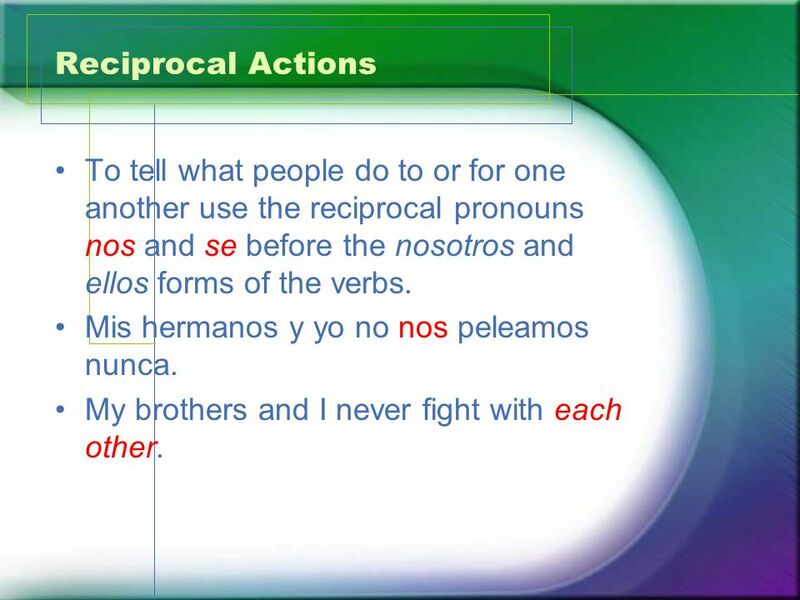 2 Reciprocal Actions To tell what people do to or for one another use the reciprocal pronouns nos and se before the nosotros and ellos forms of the verbs. Mis hermanos y yo no nos peleamos nunca. My brothers and I never fight with each other. 3 Reciprocal Actions When there is an infinitive in the sentence, the pronoun either before the conjugated verb or attached to the infinitive or participle. 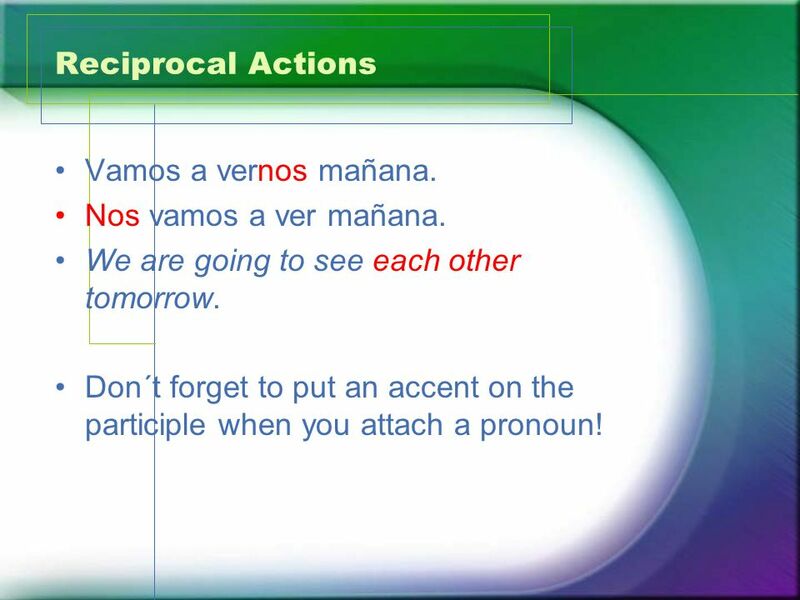 4 Reciprocal Actions Vamos a vernos mañana. Nos vamos a ver mañana. We are going to see each other tomorrow. Don´t forget to put an accent on the participle when you attach a pronoun! 5 Reciprocal Actions Rodrigo y Luisa estaban abrazándose en el jardín. Rodrigo y Luisa se estaban abrazando en el jardín. 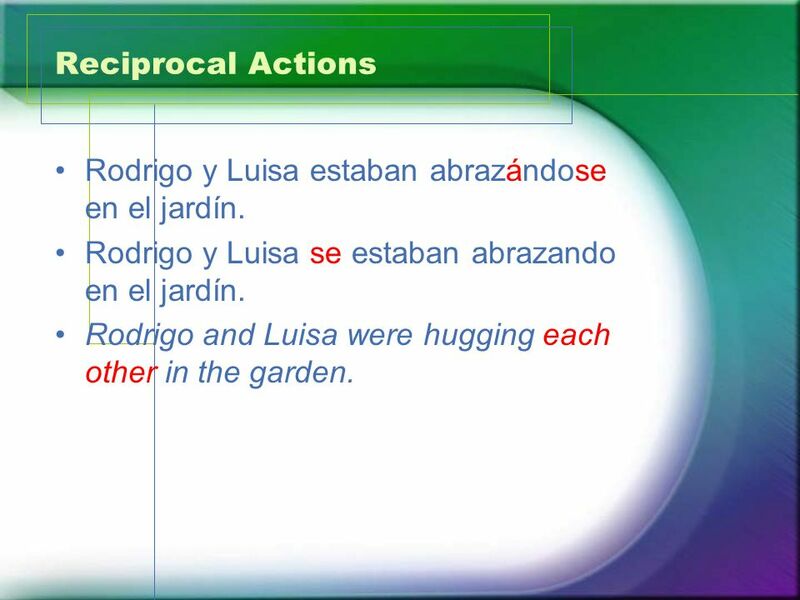 Rodrigo and Luisa were hugging each other in the garden. 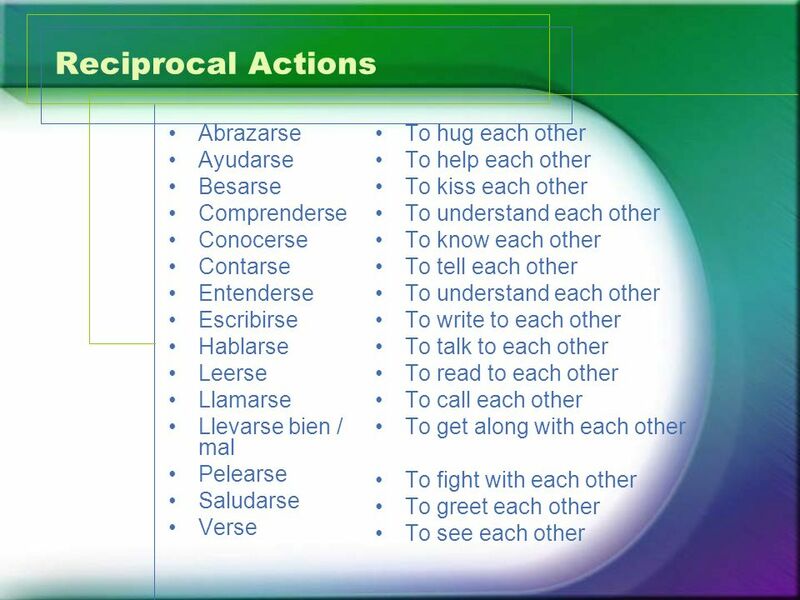 6 Reciprocal Actions Here are some examples of reflexive verbs that are used reciprocally. 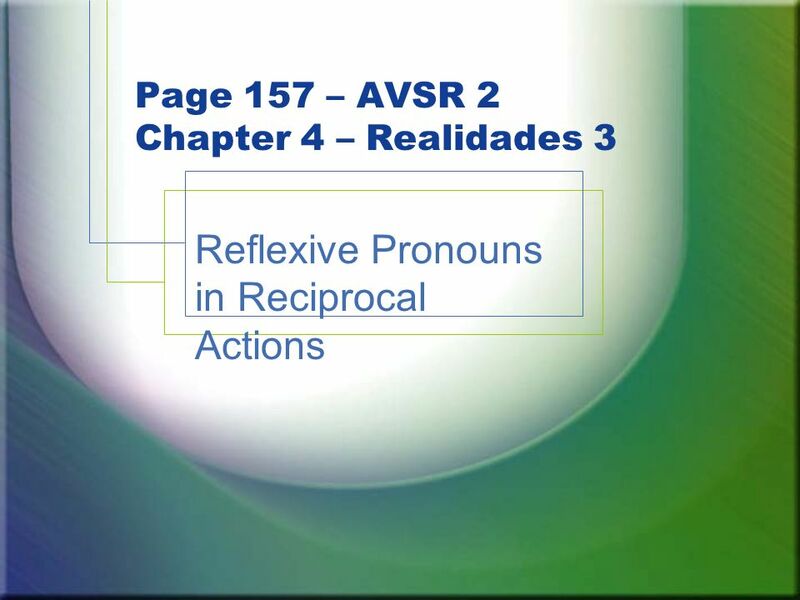 Descargar ppt "Page 157 – AVSR 2 Chapter 4 – Realidades 3"
REFLEXIVE VERBS WHAT ARE THEY?. Use reflexive verbs to say: People do something to or for themselves: washing ones hands The person doing the action also. Reflexive verbs. To say that people do something to or for themselves, you use reflexive verbs. For example, washing ones hands or brushing ones hair. Reflexive verbs Página 119 What is a reflexive verb? A reflexive verb is an action done to the subject. –Ex. I wash the car. –Ex. I wash myself. –Ex.